"Bonjour, Paris!" 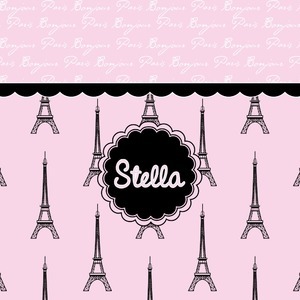 will be the first words spoken when you see this beautiful French inspired design. 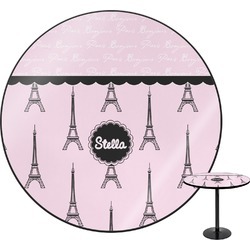 You will bring a bit of Parisian elegance to your decor when choosing this gorgeous French Eiffel Tower design set on a pretty pink backdrop. The beautiful black scalloped label on the whimsical pink highlights the personalization of your choice.